This is something I’ve been thinking about for a while and as my daughter grows up the issue becomes more and more real. I think about how we will get the balance right between making sure she has enough of everything she needs but is not spoilt to the point that she can’t appreciate the value in things. Luckily, growing up I think my parents did pretty well on this. I always had enough so I wasn’t left out of the loop or felt disadvantaged but still had to wait for special gifts on special occasions. I was also encouraged to work as soon as I could, so I did a paper round from age 14. Paper rounds are a hard graft trust me! Before school you’re up early, whatever the weather, to take your bike to the local shop and pickup your papers to be delivered to the 30 or so houses in your round. And for this you are paid a wholly £7 per week! Looking back it’s ridiculous remuneration but it wasn’t about the money. It was about being dedicated, working hard and seeing the benefits. It instils the work ethic in you and the whole concept of work and reward. However, that was back in the day (not saying any dates lol). That was before social media and the rise of the smart phone. It seemed like back then life was simpler, there wasn’t so much to want as a 12, 13 or 14 year old and we weren’t always comparing ourselves to others. For a person to succeed in life they need to work hard, have patience and apply themselves consistently over a period of time. But in this new world of instant gratification, the worshipping of material goods and the constant comparison to one another, how do we ensure we teach our children about hard work and the value of money? 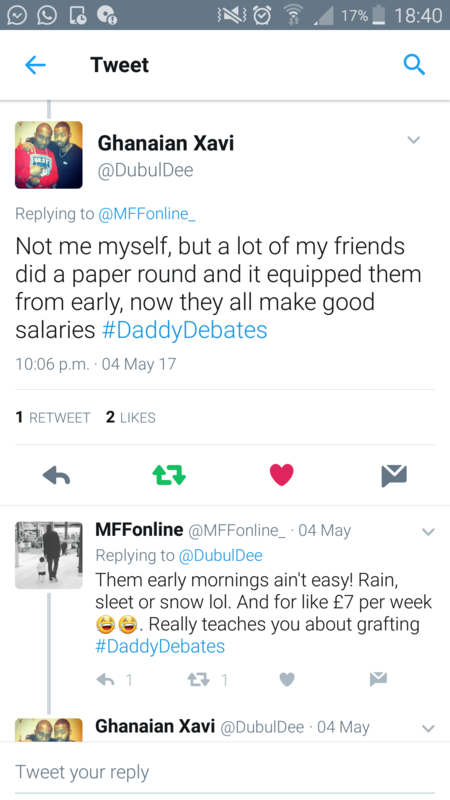 To get the views of our community, we hosted a #Daddydebates live Twitter chat on the exact subject. Four themes seemed to come up time and time again. Here we’ve expanded on each of those themes. As early as possible we can start to set our children mini-challenges and then reward them for their efforts. This can be something as small as just tidying up their room or finishing their dinner but it’s important for them to understand that in order to have a treat, some work must be done beforehand. I think it’s best to make this as fun and light hearted while they are little, we want them to enjoy the challenges so the more it can be like a game, the better. 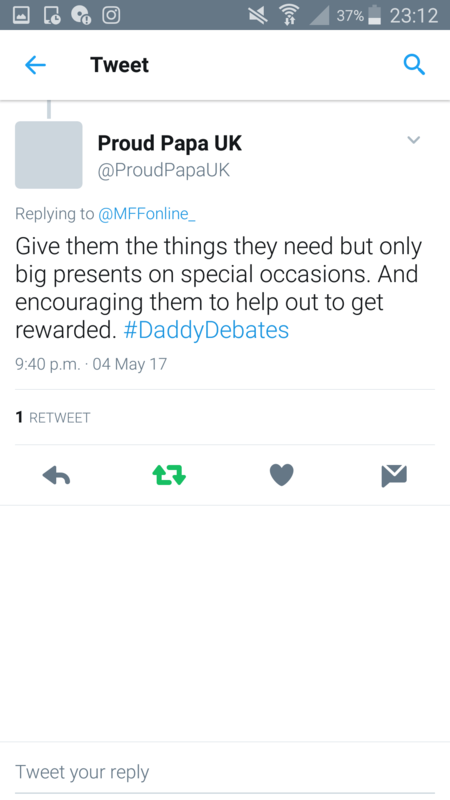 I don’t think there’s anything wrong with spoiling our children once in a while but I believe that the extra special (and particularly expensive) gifts and treats should be saved for special occasions. There is really something powerful in a child waiting for their birthday or Christmas to receive that games console or pair of trainers they want. It teaches patience which is a really important characteristic, one that is essential in adulthood. 3. Get them working as soon as possible! Now this is a controversial one. I know everyone won’t agree but for me, getting a young person working as soon as legally possible is really important. To get by in the world and really succeed, you need to work hard. I’ve seen so many talented people not reach their full potential because they don’t work hard enough, it’s like they aren’t able to really apply themselves and put that hard consistent graft into achieving their dreams. For me, learning the concept of hard work and application starts from early. I work hard now (hence how I manage to run this website, have a full time job and be a father!) and that hard work ethic was instilled in me from an early age. Whether that be doing a paper round while at school, or working in Iceland while studying A-Levels at 17 or even working throughout University. I do understand the counter argument of letting a child focus on there studies to get good grades, and education is obviously the priority, but you can do both (study and work) if you find the right job and limit the amount of hours you work. 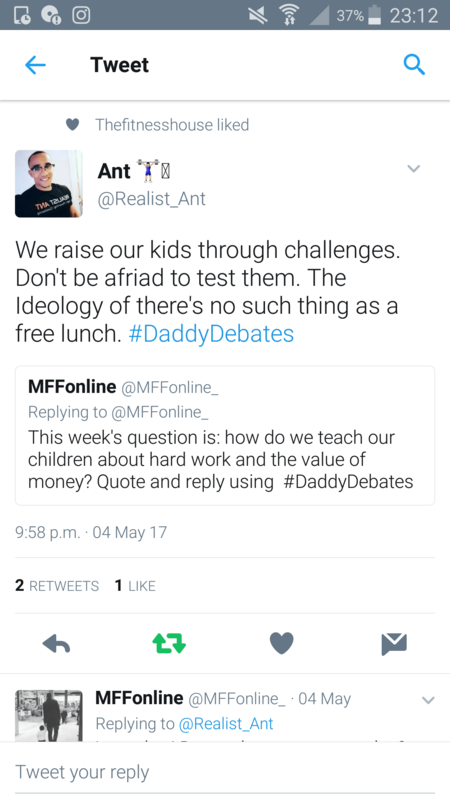 This was probably the most powerful statement in the whole #DaddyDebates discussion. It’s important to remember that we are setting the example that our children will follow. We can say as much as we want but ultimately, our children will follow our actions. Therefore, we need to make sure that we ourselves are working hard and valuing the cost of things. 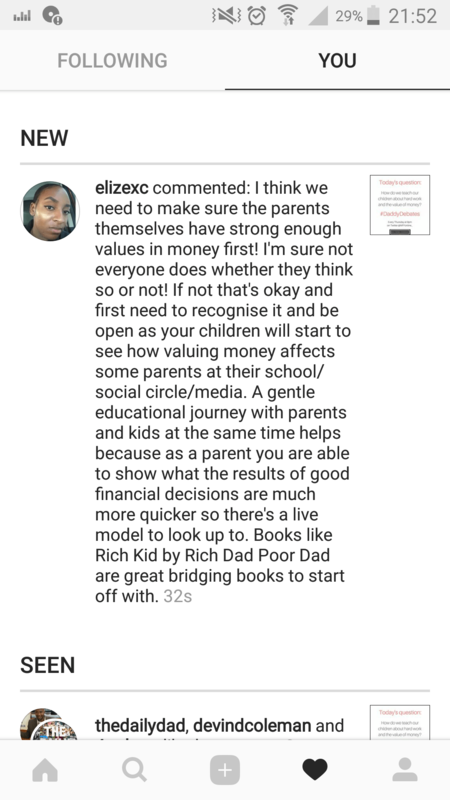 In conclusion, there are many ways that we can teach our children about hard work and the value of money and for us to be successful in doing so we probably need to adopt a number of different techniques. The important thing is that we are aware of how important it is to support our children in this way, these are vital life lessons that will set them up for a successful life and a future where they can achieve and thrive. Next → Next post: Competition: Win a ‘Car Activity Centre’ by East Coast Nursery!